Good evening everyone! I hope you are all having a warm Thursday! Today is super chilly for much of the United States and instead of curling up under the covers to keep warm, I have been cleaning house nonstop. To be honest I can deal with freezing cold as long as I have pretty snow to look at and play in. Not here though, everything is dreary and cold. 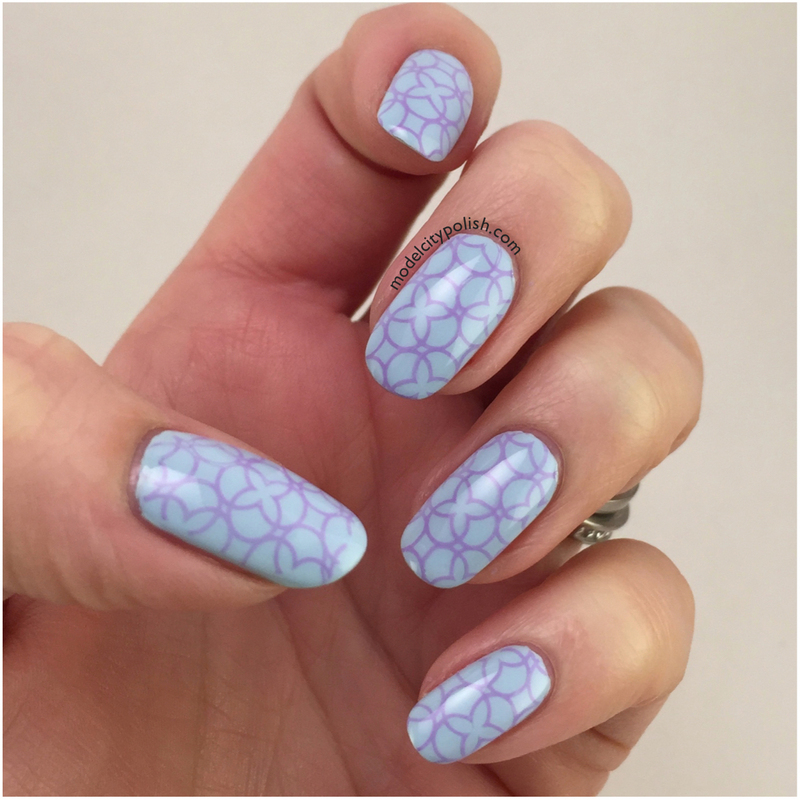 Enough of the cold talk and let’s take a look at some nails that would be perfect for spring. 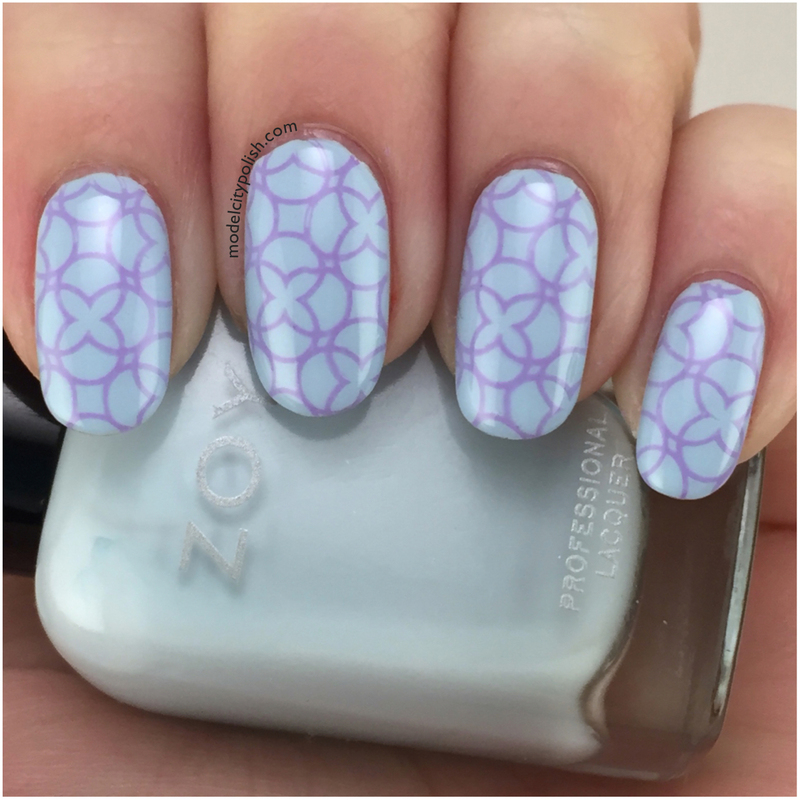 I recently received the Born Pretty Kaleidoscope Plate and was super worried at first, the images are a bit small and I am no master at double stamping. Everything ended up working out though and the end look I accomplished was stunning. 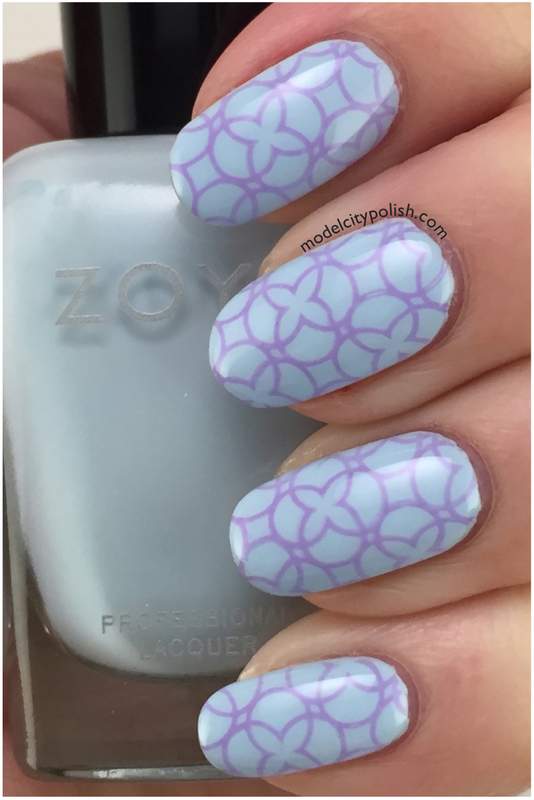 I used Zoya Blu for a light blue base and then stamped with MoYou Light Purple polish. 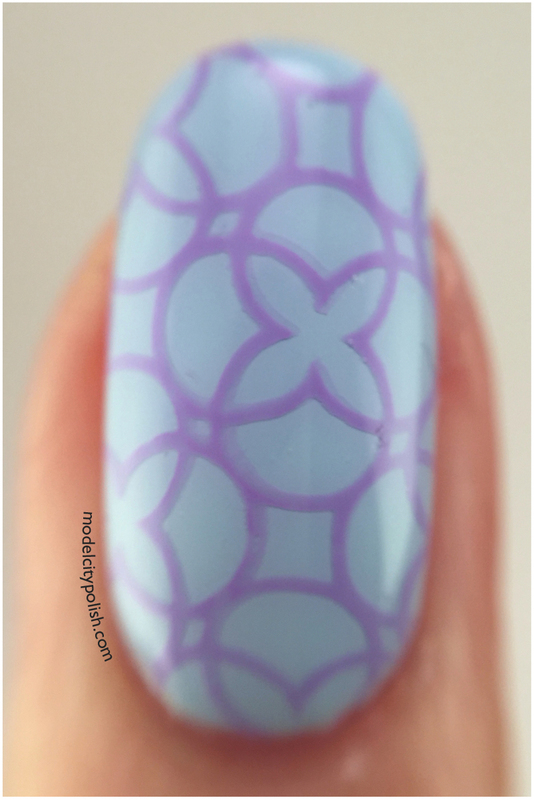 I was very impressed with how clean of a transfer I was able to achieve and has left me loving the Born Pretty Plates and with just a little aligning of the stamp, I was able to get full coverage. I sealed everything with a good coat of HK Girl Fast Dry Top Coat. The image plate was sent to me for review but that does not influence my final opinions. 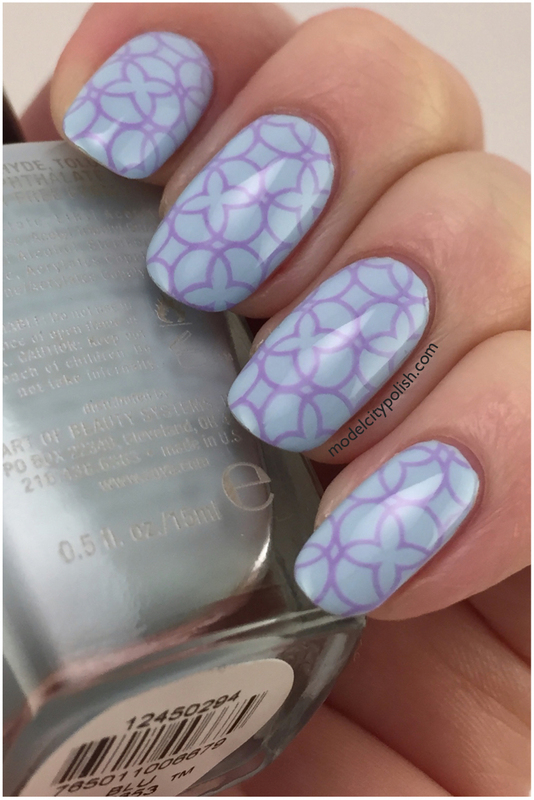 Such a soft & pretty look!